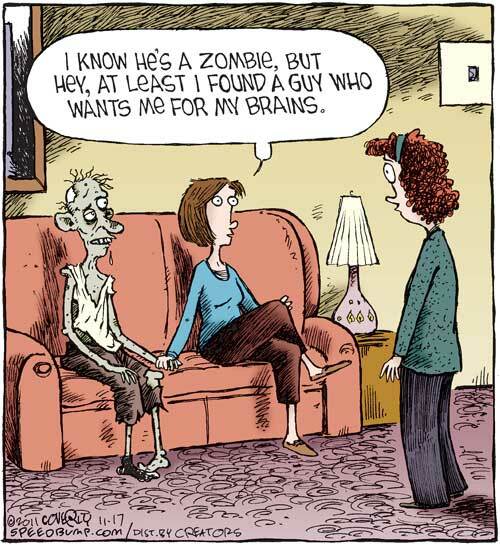 We are delighted to share this Zombie cartoon by Dave Coverly. This entry was posted in Zombie Humour and tagged Zombie Boyfriend. Bookmark the permalink.